Pastor washes his face and feet on the heads of his members. A new day with a different new tragedy involving controversial pastors in Africa. 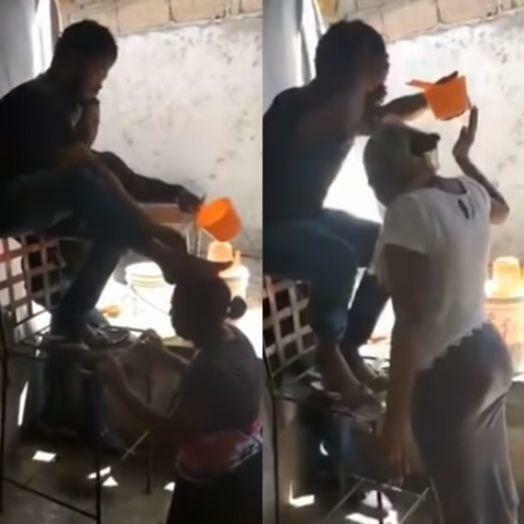 A video of a man who is called a “pastor” engages in bizarre practices on his “faithful” has gone viral on social media. 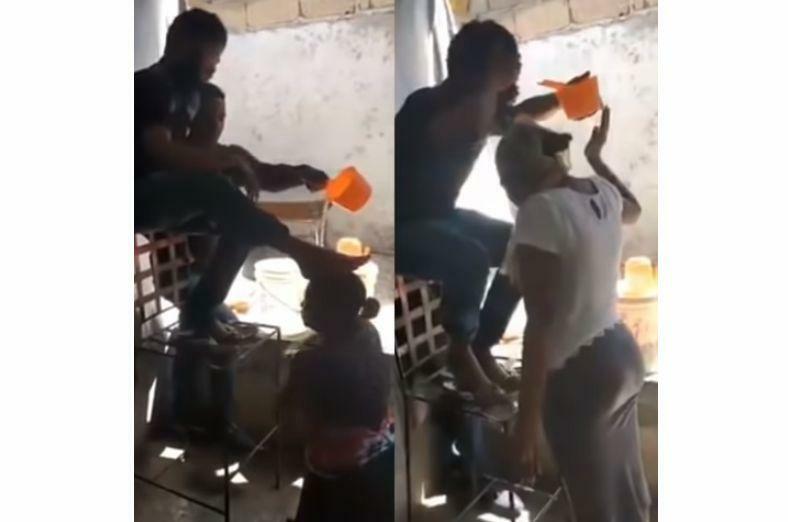 In this video circulating on social networks, we can see the “pastor” washing his face and feet on the heads of “members” of his church. The “pastor” was sitting on a chair while he uses the water to wash his face and feet on the heads of the faithful of his church, one after the other. The video posted on the Instagram page of Ghana’s international footballer Asamoah Gyan has garnered a lot of attention and comment. However, the video amazed many people, as members seem to be excited about the water flowing from the pastor’s face and feet as they rubbed their entire body while the water touched them.